Ong Seong wu started his first Asian fan meeting tour! Sell 4,600 seats at the same time he open the ticket! Ong Seong wu had a lovely time with his fans. Ong Seong wu hosted ONG SEONG WU 1st Fan meeting Tour at the Thunder Dome in Bangkok, Thailand, On March 16. Ong Seong wu's first solo overseas fan meeting, which already saw its server down as soon as opened his fan meeting ticket, sold out all 4,600 seats, drawing attention from global fans. Ong Seong wu made a spectacular appearance as the performance of Bruno Mars' "Treasure," responded with a bright smile to the fan "Welcome Ong Seong wu," marking the start of the fan meeting. 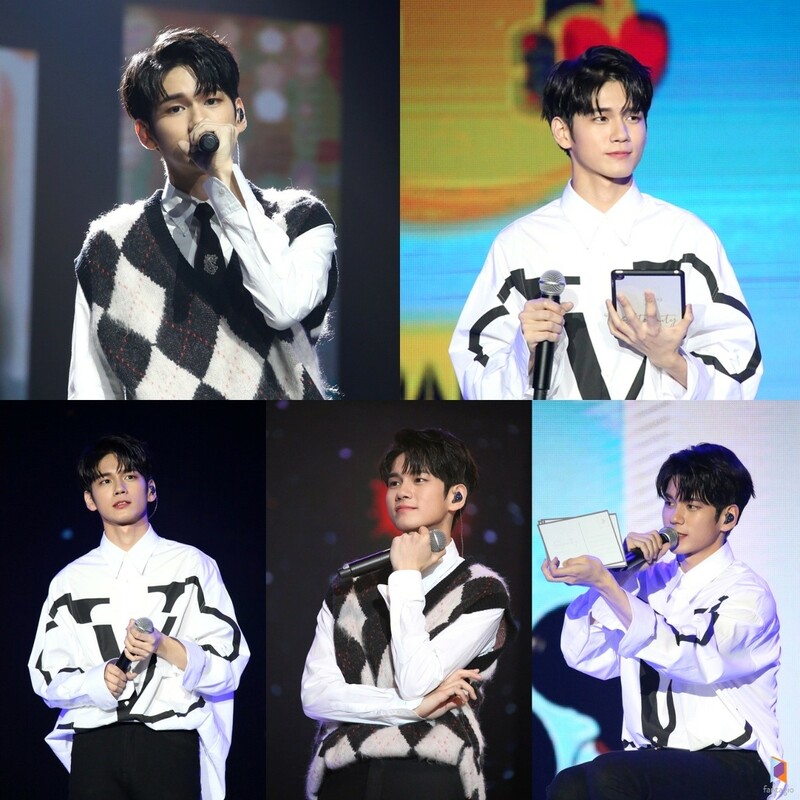 Ong TALK, which featured his wit, ONGSTAGRAM that shared memories with fans while watching photos taken by him, and WANNA ONG, which is a hit medley dance time, and even an undisclosed self-cam. Ong Seong wu continued his special period of communication by generously revealing his appearance and daily life to his fans. Above all, the fan love of Ong Seong wu has always expressed his love for fans, shone throughout the fan meeting. Ong Seong wu received applause from fans while presenting Thai prepared for his Thai fans, smiled at fans as he showed cute fool of fans focusing on doll-picking missions to present gifts to fans. As it is the official venue where Ong Seong wu meets fans, fans also drew attention by preparing a surprise event for him. A surprise gift was given to Ong Seong wu to celebrate his fan meeting, and a video letter showing him was prepared to give him a warm heart. Going to end the heated fan meeting for about two hours, Ong Seong wu said, "Finally we met?! But it's the beginning. It's Ong Sung Wu's first overseas fan meeting. Thank you so much for welcoming us. I think the first time is always very special. this means there's no end to it. We have no end. Let's meet again as soon as possible," pledging to meet with his next meeting, with a lumpy feeling. He then saw the fans off while playing high-touch with everyone who attended the fan meeting and gave them a special touch with his sweet face until the end. Ong Seong wu's fan meeting was as enthusiastic as his fans' support for the local media coverage as "9Entertain" and "INN NEWS_ENT." Media outlets have shown high interest in Ong Seong wu, reporting on his fan meeting with headlines such as "The Charisma that captivated the hearts of Thai fans" and "Ong Seong wu Fan Meeting that showed off its irresistible charm." After successfully completing his first performance at an Asian fan meeting tour in Thailand, Ong Seong wu will hold fan meetings in Malaysia on March 23 and in Singapore on April 6 to continue his activities.